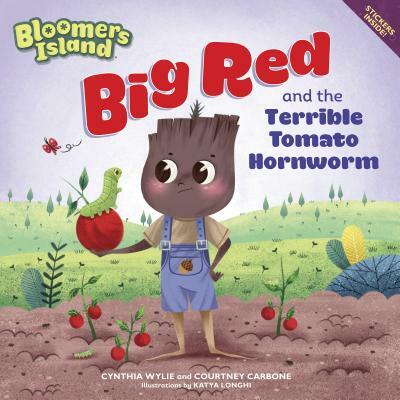 In Big Red and the Terrible Tomato Hornworms, Professor Sage holds a contest between the young Bloomers where each must choose their favorite vegetable to grow and care for. Here, young readers are introduced to the character of Big Red, who knows exactly what he wants to grow: tomatoes! After all, they are the main ingredient in some of his favorite foods: spaghetti, ketchup, and pizza. But as he starts planting, he discovers that he’ll have to battle hornworms to keep his tomatoes healthy and safe. In the end, he has to use his newfound gardening knowledge and peacemaking skills to work with the hornworms and save his tomatoes. Courtney Carbone studied English and Creative Writing in the US and Australia before becoming a children's book writer and editor in New York City. Her favorite things include Brit Lit, trivia nights, board games, stand-up comedy, improv, bookstores, libraries, brick-oven pizza, salted-caramel macarons, theme parties, sharks, puns, portmanteaus, and '90s pop culture. Visit CourtneyCarbone.com and follow @CBCarbone. Katya Longhi is a freelance children's illustrator who has worked for publishers throughout Italy, Australia, the United States, France, and Brazil. She lives in Modica, Italy, with her husband.